April 8, 2019 – Legislation was introduced in the Colorado Legislature that will shine light on secret political spending in Colorado elections and help Colorado hold those that break campaign finance laws accountable. Secretary of State Griswold ran for office to reform money in politics, and since being sworn in as Secretary of State, has traveled around Colorado to speak with everyday Coloradans about the importance of transparency in political spending. Since January, Secretary Griswold has hosted town halls on campaign finance reform in Aurora, Grand Junction, Pueblo, Boulder, Superior, and Louisville. Secretary Jena Griswold is working with bill sponsors Representative Mike Weissman, Senator Mike Foote, and Senator Jeff Bridges on this legislation. Reforming money in politics will help detect and deter corruption, stop foreign financial influence, and increase transparency. During the 2018 election cycle in Colorado, more than $82 million was donated to Independent Expenditure Committees (IECs), Colorado’s version of SuperPACs. These committees can raise and spend unlimited sums of money for, or against, political candidates. Current Colorado law on IECs does not require disclosure of the original source of high-dollar contributions, and instead encourages political committees to move hard-to-trace money between various shell companies to hide the original source of a contribution, even if it comes from a foreign national or foreign corporation. The Clean Campaign Act of 2019 prevents all foreign nationals, foreign corporations, and foreign countries from spending money on any type of political communication, or contributing to, or controlling, any type of campaign finance committee in this state. Additionally, it will ensure that corporations that spend money in support of, or against, ballot initiatives disclose that they paid for the communication. “Coloradans have the right to be able to follow the dollars in our elections,” stated Representative Weissman. “We should shine a light on the source of dark money because Coloradans deserve to know who is funding campaigns,” said Senator Foote. “Our campaign finance system is broken at a fundamental level, and sunlight is the best disinfectant,” said Senator Bridges. This bill will make Colorado a national leader in campaign finance transparency. When passed, the Clean Campaign Act of 2019 will require “Paid for by” disclaimers on communications to voters from any committee, including online communications. This commonsense requirement makes sure that any time a Coloradan sees a political ad from any candidate or political committee on any platform, they will know who paid for it. This legislation also tightens Colorado’s laws on coordination between IECs and candidates, and stops politicians who have not yet announced for office—and therefore are not beholden to contribution limits—from gaming the system by raising millions into IECs that plan to support their future campaigns. Finally, this legislation re-authorizes Small-Scale Issue Committees, which requires those raising or spending between $200 to $5,000 on ballot measures to register, and track their contributions and expenditures, but does not require them to report until they meet the $5,000 threshold. These committees, originally created by a bipartisan group of lawmakers in 2016 in response to several court cases, must be re-authorized this year. This bill removes the sunset provision and makes them permanent. The second bill, Campaign Finance Enforcement, codifies existing rules put in place in 2018 in response to a Federal District Court ruling. Codifying these rules puts enforcement mechanisms into law and modernizes Colorado’s enforcement process to be more fair, speedy, and constitutional. In 2018 in Holland v. Williams, the court ruled Colorado’s enforcement system unconstitutional. 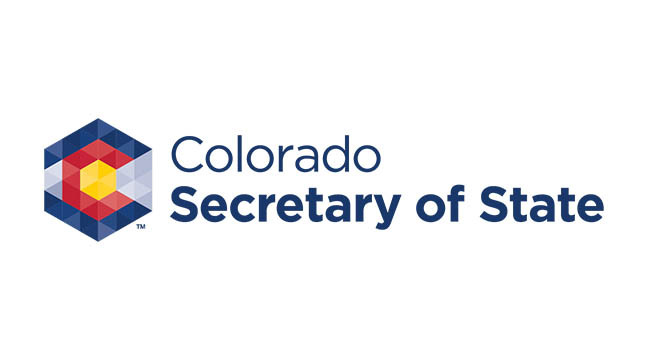 In response, Secretary of State Wayne Williams and his staff adopted rules giving the Secretary of State’s office the responsibility of investigating and enforcing campaign and political finance complaints. This system still allows any member of the public to file a complaint when there is the appearance of or actual wrongdoing. “When it comes to money in politics, Coloradans’ voices are being drowned out by special interests. Our goal is to create a better set of rules, and to enforce them,” said Griswold. Here is a fact sheet on these two bills. This new legislation, in conjunction with SB19-068 Expanding Disclosure of Electioneering Communications and HB19-1248, the Lobbyist Transparency Act, will bring more transparency to, and accountability of, money in politics in Colorado.